Still the best selling app!! Peter Rabbit Free Version 4.0Classic story book known and loved the world over by Beatrix Potter. Search for the hidden surprise on each page. DeskTop Photo Player for your Mac, the best way to enjoy all your digital photos while you work or relax! Photos are displayed randomly from any folder (or folder of folders). Folder(s) can be on your Mac's hard drive, or a plug in USB dongle or on a drive on your local network! Floating window can be sized by dragging on the little blue square in the lower right corner! Photos are sized to be of constant height, width of window will vary automatically according to the size of each photo. Play action buttons enable you to pause, go forward or back thru the recently played and upcoming photos. Options to share or open current photo easily accessible with on-screen control. The on-screen controls can be easily clicked on/off with a mouse click! Photos refresh time set by you, from 3 seconds thru 15 minutes. This will become one of your favorite Apps! And enable you to enjoy all your photo memories! Two modes to enjoy: “Read to Me” and “Read Myself”. 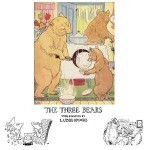 In “Read to Me”, voice over narration plays for each page. To turn the page, simply “swipe” with your finger towards the next page, or back to the previous page. Either way the narration will start again. In “Read Myself” the page narrations are turned off. Great way to develop early reading skills. 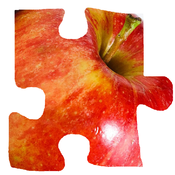 Photo JigSaw Puzzle is a game that takes a photo and makes it into a JigSaw puzzle. The Free Version comes with sample photo and a 12 piece puzzle, upgrade to ‘My Photos Unlock’ and you unlimited choice of photos from your iPad, iPhone and/or iTouch. You choose photos from your device and are able to size, crop and fit the portion of the photo that you want in the puzzle. More upgrades available!!! Get the 16, 25 or 30 piece puzzles, or better yet, get all three! And with the ‘My Photo Unlock’ will enable endless combinations of fun and skill building. Free for limited Time! DoubleTake, take a selfie and a photo with a single click! DoubleTake, take a selfie and a photo with a single click! Simply hit the button and the result is a full size photo and a small circular overlay photo. The full size photo is what is shown when in the main screen view (default is the Back Camera). To see the Front Camera input, hit the "Swap" button. In this mode the Front Camera shot becomes the full size photo and the Back Camera shot becomes the circle overlay. To see these help pictures better, you can "pinch and zoom" to make them larger. PicPuzzles Free Version, Fun with your Photos! 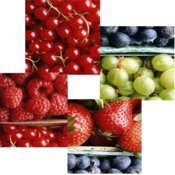 Photo JigSaw Puzzle is a game that takes a photo and makes it into a JigSaw puzzle. The Free Version comes with sample photo and a 12 piece puzzle, upgrade to ‘My Photos Unlock’ and you unlimited choice of photos from your iPad, iPhone and/or iTouch. You choose photos from your device and are able to size, crop and fit the portion of the photo that you want in the puzzle. More upgrades available!!! Get the 16, 25 or 30 piece puzzles, or better yet, get all three! And with the ‘My Photo Unlock’ will enable endless combinations of fun andskill building. 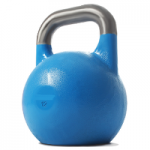 Kettlebell Workout Trainer, Get started Now! Kettlebell Workout Trainer will teach and lead you thru a set of workouts to improve your core strength and health. It has features designed for beginner thru advanced use. Includes optional video demo for most of the exercises to learn proper form. This app will guide and time you thru specific sets of exercises and in ‘Trainer Mode’ will automatically sequence you thru the workout. Has heart rate checks that record your rate at key points and workout history is captured and can be shared. Detailed settings for each workout/exercise can be tuned to your needs thru option setting pages. We create wonderful iPhone, iPad, iTouch & Mac applications.